This is the most exciting conversation to have with your partner! Ask them what their dreams are and have them write them down. Don’t hold back on your dreaming. If you have dreamed of someday writing a book, or owning your own airplane, or making a documentary; say it out loud! Better yet, write it down. Nothing is impossible when it comes to expressing your dreams. You will most likely learn something new about your partner. This intimate conversation will only strengthen your bond with each other. Set aside 60 minutes this week and have an honest conversation with your partner/spouse about their dreams and share yours. Make time for this, it’s critical. 2. Are You Ready to Make Your Dreams Come True? After having the exciting conversation of sharing your dreams, with no limits and writing them down, now is the time to ask which dreams are you ready, at this time, to make happen. It’s so important to know your dreams, and to realize you have a partner there to help you achieve them! Dreams keep you focused in life on the important things. Let’s say one of your dreams is to be a strong parental figure who is a financial resource for your children and grandchildren. With this dream in mind, the temptation to buy that $5 cup of coffee every day is easier to turn down. You need to have a purpose to manage your money and your life in general. Knowing your dreams, and believing you can achieve them, is how you stay focused. For example, when I think of myself in my retirement years, I don’t picture rolling around with a walker. So my dream is to be healthy enough to still go hiking, travel, and maintain my own home. With that dream in mind, I exercise at least 3 times a week intensely, and go for walks once or twice a week as well. Dreaming will keep us moving in life and give us purpose. Never stop dreaming and working towards your dreams. Not only will dreams focus your life, it will strengthen the bond you have with your partner/spouse as you help make each other’s dreams come true. 3. What Role Does Giving Play in Our Finances? Giving can be a sensitive subject. For some people, giving is how they make and keep friends. I know someone that gives until it hurts. Because she struggles with depression and low self-esteem, she feels that the only way she can have people “like” her, is to give. She gives to friends and total strangers which results in not having enough to meet her own family’s needs. Her need to be “liked” over comes her need to be a good provider for her family. Then there are those who are the “Ebenezer Scrooges” of the world. They will not part with anything unless it benefits them in some way. This can be due to a scarcity mindset growing up where money and resources were always lacking. Finding this out about your partner/spouse and working through it will help minimize the number of arguments in the future. Giving is key to having a healthy relationship with money and your loved ones. Giving until it hurts will ruin you financially (and emotionally), and holding onto every penny will limit your personal and financial growth. Have this discussion early and get to know your partner/spouses relationship with giving. 4. How Do You Feel About Debt? 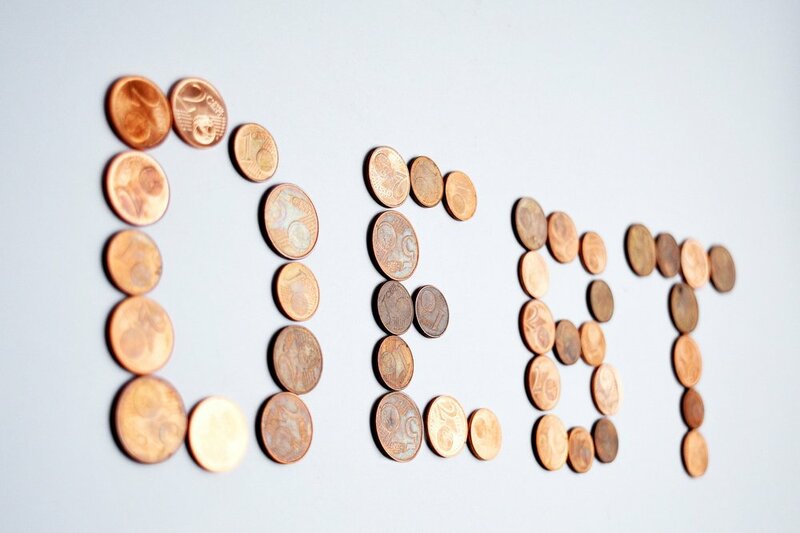 Debt is a much talked about subject in many blogs and books. So I won’t go into too much detail here. Debt clearly can destroy any relationship, and stress families to the brink. Finances are one of the top reasons for divorces today. Make sure you are on the same page with debt, and how or if you will use it in your future. Enough said there. 5. When & How Do You Want to Retire? When and how you retire can be tied easily into the dreams section, however it’s important to talk early and often about this topic. If you and your partner/spouse don’t start talking about slowing down and retiring until you are in your 50’s or 60’s, it can make this dream much more difficult to achieve. As the years pass, you may find that your partner/spouse’s goals for retirement start to change, so keep having this conversation. I’ve seen small business owners who are married, struggle exiting the business. One spouse wants to continue working as long as they can, as the business is their “baby” and they can’t imagine life without it. The other spouse is ready to travel and visit grandchildren. This can cause major conflict. So continue to touch base and have the retirement conversation throughout your relationship. 6. What is Our Plan if the Worst Case Scenario Happens? This conversation needs to happen the moment your finances become shared. If one of you gets hit by a milk truck, then what is the family’s plan to handle disability or death? If both of you get killed in a car accident, what is the plan for the children? Who manages your assets? Is there life insurance to pay for your children’s care givers? This may be the least enjoyable conversation to have with your partner/spouse but you need to have it anytime there is a major change in the family. A new child, a new job, a major change in your financial status or the death of a key family member. It’s uncomfortable, but it can prevent many heartaches in the future. I have seen it happen. My sister’s husband passed away and she was pregnant and still in her 30’s. There wasn’t enough life insurance, and the will they had worked on was not signed or finalized. Luckily they lived in a community property state, but if not, she could have been left with very little. Don’t let this happen to you. Life is life, things don’t always work out. You need to be prepared to handle those situations. Feb 19 Are You Eating Away Your Wealth?